We recognize that all of our patients are unique and deserve to receive pediatric dental care that reflects their individual needs. Our experienced and talented team is committed to working with you and your family to create a comfortable, stress-free, and rewarding pediatric dental experience every time you visit our practice. We are pleased to welcome you and your family, and we look forward to working with you. Dr. Prachi Chandalia is a pediatric dentist at Alexandria Children's Dentistry. 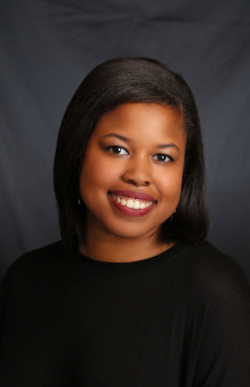 She is an active member of the American Academy of Pediatric Dentistry, the American Dental Association, and is an American Board of Pediatric Dentistry candidate. She earned her dental degree from Charles University, First Faculty of Medicine in the Czech Republic, where she graduated joint first in her class. After receiving her Doctorate of Dental Medicine, Dr. Prachi worked as a general dentist in Salisbury, England, home to the famous Stonehenge. She then continued working in London, England treating both adults and children. During her time in London, she set up a free clinic called Saturday Smile as a way of serving her local community. Her experience in England shaped Dr. Prachi’s approach to care, engendering a profound commitment to prevention-based dentistry, and an enduring respect for the patient’s needs, preferences, and beliefs. 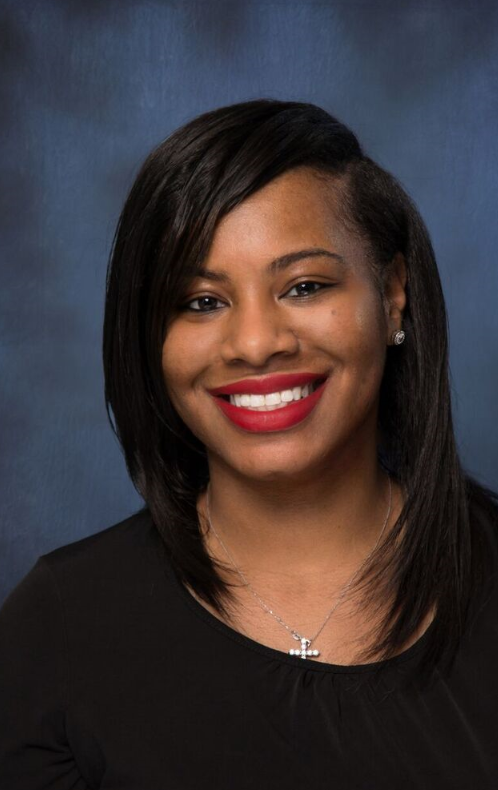 She followed her lifelong dream of becoming a pediatric dentist by completing an additional two years of training at Rutgers School of Dental Medicine in New Jersey. 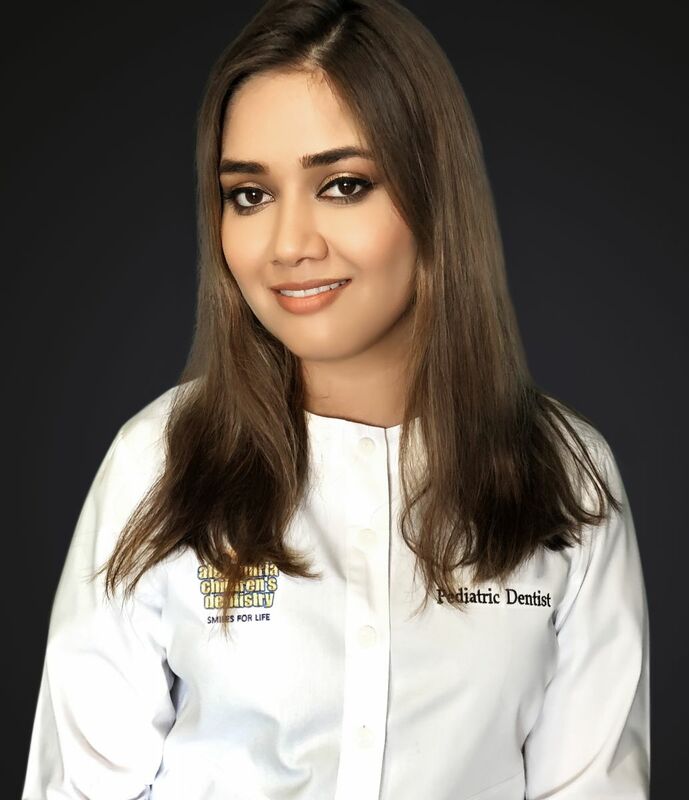 During her specialty training, Dr. Prachi had extensive exposure to all aspects of pediatric dentistry, including emergency care, the care of patients with special healthcare needs and treatment of children requiring general anesthesia and sedation. Over the years, Dr. Prachi has made every effort to extend her services to those in need. She has volunteered in developing countries in dental and family health clinics as part of her commitment to ensuring access to dental care for all children. Dr. Prachi is married to her high school sweetheart, Harsh, an attorney in Washington D.C. Together, they enjoy travelling the world, cooking and discovering new improv comedy in the greater Washington area. 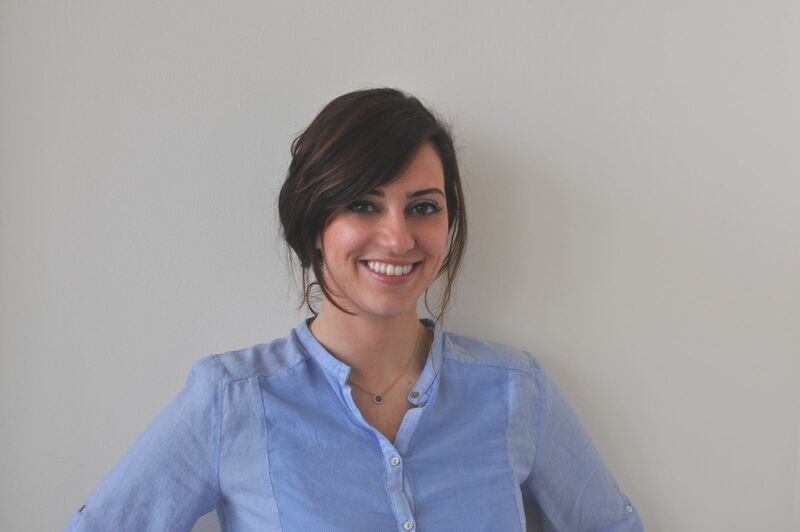 Dr. Lara is a pediatric dentist with Alexandria Children's Dentistry. After graduating from dental school, Dr. Lara completed a fellowship in restorative dentistry at Case Western Reserve University. 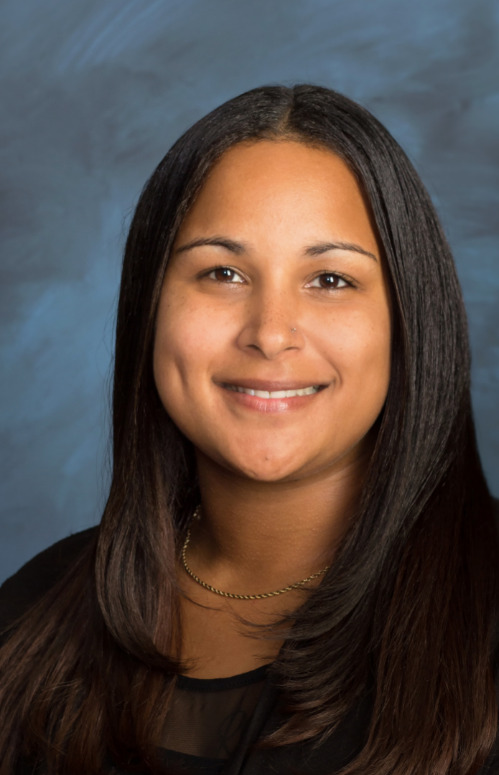 In December 2012, Dr. Lara graduated from the prestigious residency program at the University of Michigan with a certificate and a masters degree in pediatric dentistry. Dr. Lara practiced as a staff dentist at the U of M Department of Pediatric Dentistry and Orthodontics before moving to Virginia to be closer to her recently born niece and nephew (they’re twins!). Dr. Lara dedicates herself to providing the highest quality of dental care possible for infants, children and adolescents in a safe and comfortable environment that will enable them to grow into healthy and happy dental patients. Dr. Lara focuses on prevention and education. She takes pleasure in sharing her knowledge and expertise with young patients and their families regarding the importance of oral health and its impact on general health. Away from the office, Dr. Lara enjoys traveling, exploring the great outdoors of Northern Virginia, and spending time with her daughter, nieces and nephews. Born in Ethiopia and raised in America. I have a passion for making people smile and feel good about themselves, especially kids. I love kids and am a mother of two beautiful kids myself (Isaiah and Layla). There is no greater love then the love I have for them! All my nieces and nephews can agree I am the best Aunt because I spoil them! I have been in dentistry for more than ten years and enjoy every aspect of it. I joined ACD in 2016 as the office manager and I am blessed and excited to be a part of such a warm and welcoming team! I knew upon my first meeting with Dr. Angela this would be my new home, she is amazing in more ways than you can imagine. Once you meet her, I am sure you will agree! We can't wait to see you at the office! In 2014, I completed my certification in dental assisting and immediately joined the Alexandria Children's Dentistry team! I love children and hope to continue working with them for years to come! Originally from El Salvador, San Salvador, I came to America to study at the age of ten. During high school, I was fortunate to complete my dental assitance certificate and practice dental assiting! My knowledge of dental assiting helps me parents I've always wanted to work in the medical/dental field, and I love being able to do this while working with kids! Outside the office, I love spending time with my 7 year old brother, Gabriel, watching movies, listening to new music and reading English literature. After being in dentistry for nearly 10 years, I joined the ACD team in 2017. I absolutely love being able to spread kindness and happiness to the families we work with. I also love being able to help parents navigate and understand the importance of oral care. I love working with my awesome team as everyone is genuine, positive and happy! A little about myself, I am the mother of 3 amazing boys who mean the world to me! I love being a mom and watching my boys learn and grow. I enjoy good food and conversation, shopping, reading and more shopping! I started with the ACD team in 2013. I have always worked in the office administrative field and when offered a position with the practice, I used all of my skills, knowledge and training to cross over into the dental field. I love being able to provide the information needed to help families helping them understand their insurance policies and how they can maximize the benefits of their insurance. At ACD, we all have the same goal-to give the best overall dental care to every single one of our patients; this shows in how we work together. I could not ask for a better practice to be a part of. Dr. Angela and her crew ROCK!! I enjoy spending time with my 3 beautiful children who keep me going. We love to go out and enjoy local activities in the area and to Amusement parks when we can. I love roller coasters, a kid at heart! In my quiet time, I like to read and watch movies. I love spending time outdoors and near the water, if possible. Oh, and I love learning new things so I am up for that anytime!! 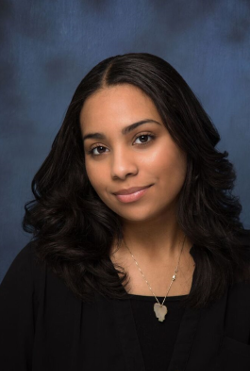 In June 2015, I joined the Alexandria Children’s Dentistry team as an insurance coordinator due to my prior knowledge of risk management and my desire to gain experience in the insurance field. It was a wonderful opportunity I could not pass up and I am so happy to have joined the team. I am responsible for providing the full details of each patients insurance and making sure they’re eligible for the services they receive. 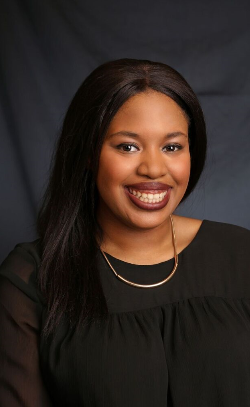 Since I started working in the office I have had the opportunity to learn more about what it’s like working in pediatric dentistry while also gaining experience in health insurance. As her youngest sister I’ve been able to witness Dr. Angela’s journey from becoming a certified pediatric dentist to building Alexandria Children’s Dentistry and developing a highly skilled team of staff members. To this day I am amazed and inspired by everyone’s determination to give each patient the most comfortable and enjoyable experience they’ve ever had in a dental office. I am very grateful to be a part of this team having seen it grow into the successful business it is today. Upon graduation from the University of Maryland, Baltimore County, I joined the Alexandria Children's Dentistry team as both a patient coordinator and marketing coordinator. I serve as the main liaison between our office and the Alexandria community, in charge of managing all of the office’s sponsorships, charity work, and participation in community events. Building connections with the Alexandria community is the best part about my job! I'm so fortunate to work at a practice that understands the important connection of community and healthcare. I love to work with people who are so eager to give back and passionate about what they do! While I’m not working, I love reading and seeing movies! I also love to try out all of the amazing restaurants the DMV area has to offer. I joined the ACD team in 2016 as an account specialist after retiring from the federal government after 20 years of service. 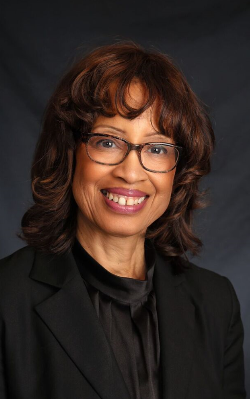 Officially, I began working in the dental field in 2016, however as Dr. Angela’s mom, I’ve offered support, encouragement, and counsel throughout her academic and professional life. And I’ve enjoyed every moment of it! I have a BS degree in Business from Miami University and an MS Degree in Communication. Both degrees are beneficial in managing accounts and communicating with office staff. The best part of my job is working with the amazing team of young professionals! The environment is energizing and dynamic, and although I don’t work directly with patients, I am so grateful to be there to support the team members that do. I joined the ACD team as a billing specialist in 2018. I’ve been working in the dental field since 2012 and have over 100 credits in dental coding, impants etc. My favorite part of my job is being able to help others and my team members. Every one of our team members are geniuniely nice, caring and dedicated to helping others. I love being able to work with a team that love kids. Outside of work, I enjoy watching crime dramas and investigational series. I have 2 daughters, Essence who is 11 and Payton who is 6. I love warm weather and helping others. I am originally from Sacramento California, but I now call Maryland home. I have two children, Xzavier and Aryjana, whom I absolutely adore. They are my pride and joy! I am proud to be an employee of one of the top pediatric dental offices in the Northern Virginia area. My love for children is what brought me to Alexandria Children's Dentistry. As a mother of two amazing children, I recognized that children need patience and nurturing individuals meeting their needs, and that's the kind of care we provide here at ACD. After meeting Dr. Angela and joining the ACD team, I was impressed with Dr. Angela's amazing skill and technique when it comes to working with children. Our children are our most prized possessions and we want what's best for them. Dr Angela is the best pediatric dentist you could ask for! I am a mother of two beautiful little girls. I moved to Alexandria, VA 3 years ago from Richmond, VA when I had my first born and I have loved it here ever since! I have been in the Dental field for about 3 1/2 years. I began working at an Orthodontist office as a Front Desk personnel. 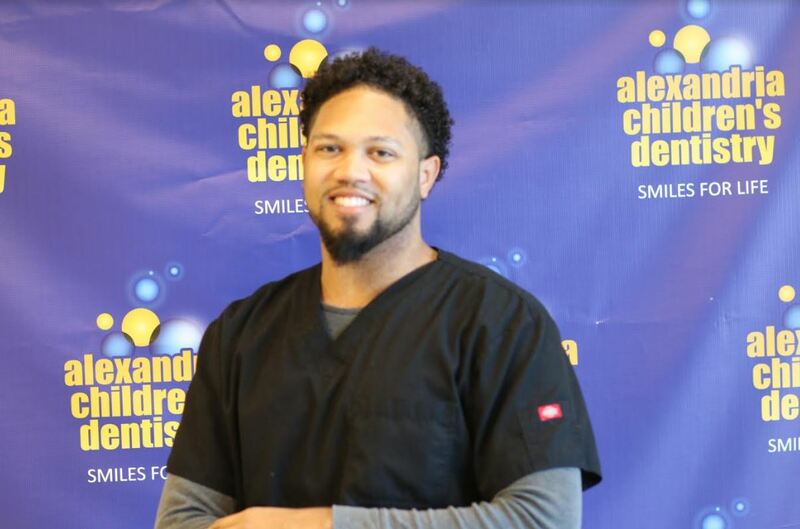 I recently joined the team here at Alexandria Children's Dentistry as a Dental Assistant. I love working here with all of our amazing patients. I have always had a passion for working with kids so this office is perfect for me! In my spare time, I enjoy hanging out with my daughters and doing anything and everything outdoors! My goal here at Alexandria Children's Dentistry is to make sure every single patient has a great experience and is excited to come back to see us! I joined the ACD team back in 2017 as a dental assitant and it's been extremely rewarding ever since. The team and Doctors make a positive environment that is comfortable and supportive! I love working with children and helping them improve and maintain their hygiene for overall better health. On most of my free days I love spending time with my younger sibling’s who also provide me the touch of patience and care in working with younger children. They also keep me active! I have been in the Dental field since 2012 and became part of the ACD team in 2018. As a dental assistant, I am dedicated to establishing positive and caring relationships with our patients while providing exceptional service and quality dental care! I love getting to know our patients and making a difference in their lives by helping to meet their dental goals and needs. In my spare time, I enjoy graphic arts and photography, going to various sporting events (Go Wizards! ), and spending time with my family. I am very excited to welcome my first son into the world in March! I have been working in the dental field for about 3 years now, attending Northern Virginia Community College after completing a high school dental program. 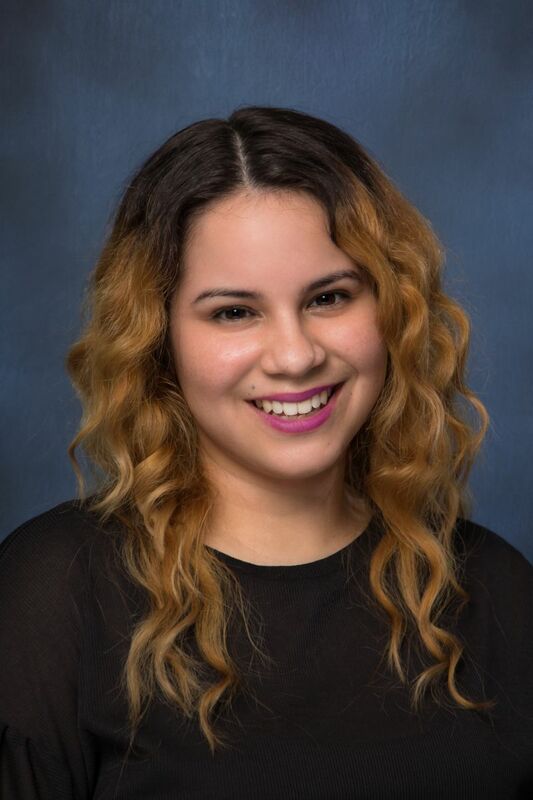 I started at ACD in 2018 as a dental assistant; giving cleanings and making sure patients are taking good care of their teeth! I enjoy making sure kids have a blast at the dentist office with the best experience possible! Going to the dentist has to be a fun learning experience for kids. This way, they'll want to want to come back and be sure to apply what they learned in their everyday care. I love working with a good group of people who are knowledgeable in their own way. Working with this team helps me learn and grow in what I do. I am a mother of lovely little boy name Anthony and he is my world! We love spending time together watching sports and playing with his toys. I enjoy working on scrap books for my son, when I am not scrapbooking I enjoy eating, shopping and family time. I started working in the dental field in 2014 and joined the ACD team in 2018. My favorite part of my job is educating children the importance of oral hygiene so they have healthy habits for life! I love working with my doctors and the rest of my ACD team because they are compassionate, caring, and hardworking. I have a beautiful 5 yr old daughter. she means the world to me. I am also a military brat. I like to spend time with friends and family. On my days off, I enjoy going to the movies, traveling, and hiking. Contact our two convenient Alexandria locations in Landmark or Del Ray for further information or to schedule an appointment for your child!